Peru, located on the west coast of South America, has one of the lowest rankings in free speech and free press, hitting its lowest rank of #124in 2004, according to the International Press Freedom Index. A year before Peru’s plummet to the bottom, in 2003, it was ranked #55 out of 167 countries, a remarkable jump from its previous years and the latter years to come. Currently, Peru is ranked #105. Overall the ranking of free speech and free press in Peru from Reporters without Borders is very low because of the corruption in government and the cruelties Peruvian journalists face. Long before the region of what is now called Peru was founded in 1531 by Western Europe, it had been a land settled by the Incas, a very civilized Indian tribe. The Inca Empire dates back millenniums. The empire is known for their sophisticated aqueducts and irrigation systems controlling the water supply that was distributed amongst everyone within the empire. Private property, money, and exploiting others for personal gain were non-existent to the Incas. The Inca Empire supported a population that was approximately double than the current population in Peru today, which is roughly 27.5 million. According to Harry Kantor author of The Ideology And Program of the Peruvian Aprista Movement, the Inca Empire unified the country and “the subjects of the Incas were more free from oppression and misery than were their descendants under the Hapsburgs and Bourbons” (Kantor 4). Peru was finally liberated from Spanish control in 1824, making it the last country in South America to gain its independence. Peru is divided by the Andes mountains into three regions; the coast, the intermontane plateaus, and the jungle- east of the mountains (Kantor 4). Each of these regions has their own set of problems and way of living. In the past four hundred years, none of the governments have been able to unite the whole country; the Incas were the only people to join the diverse parts of Peru into one functioning civilization. In 1936 a writer of the New York Times wrote, “the majority of the governments in the 115 years Peru has been a republic have been either revolutionary and dictatorial, or provisional” (Kantor 4). The cultural split amongst the regions has caused for a very unstable government. 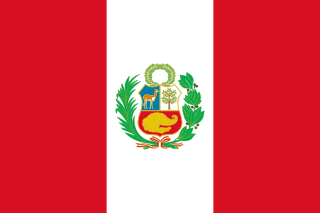 Peru is currently a multiparty representative democratic republic, but not entirely in practice. Peru’s constitution provides freedom of speech and press but when it is put into practice, freedom of speech and press are not strongly enforced. Journalists are constantly under threat and many of them are harassed, sued, beaten, and even kidnapped. Change is a threat to politicians in Peru because that would jeopardize their authoritarianism. Most of Peru’s economy relies on its exportation of cotton and precious minerals such as gold and silver, and more than half of their gold and silver mines are owned by the United States. Peru is full of rich history and historical ruins that attracts thousands of people from around the world. Many people flock to Machu Picchu, the lost city of the Incas”, to see this historical ancient ruin built by the Incas in the 15th century. One of the greatest treasures in Peru is the mysterious Lines of Nazca. The Nazca lines run 37 miles long composed of seventy different types of animals and geometric shapes created sometime around 200 B.C. Some speculate it was aliens, others believe it had to be done by air, some believe it was all done by hand, and there are even speculations of human sacrifice involved. There are many different theories why and how these perfect lines were made, but no one knows for sure how they got there and why. It wasn’t until the 20th century when the citizens of Peru started to fight for their democratic rights. All throughout Peru’s history in politics, oligarchies, military regimes and dictators have controlled the Peruvian government, leaving little to no freedom of expression for the people. No one could safely speak his or her doubts or fears about the government without being punished. Freedom of expression has progressed over the years, but many media outlets are still being oppressed today by their scrutiny against the government. The current constitution of Peru was enacted in 1993, only two decades ago, and the constitution does protect the citizen’s freedom of speech, however it is not being enforced. The government has so much control; it has most of the media and police under their power. In 2008, the Peruvian government sought to shut down the radio station Tacna Radio Uno’s, because it got in the way of their political agenda. State employees broke into the station with crowbars and demanded the radio hosts stop streaming immediately. The Radio station did not go down without a fight and had protestors backing them up. Fernando Rondines, the radio station’s director, stated that the government coerced him to cease criticism of the government, which is a direct violation of his constitutional right to freedom of expression. Rondines states “Beyond the MTC’s[Ministry of Transportation and Communications] intention to shut down Radio Uno there is the (broader) issue that the MTC wants to shut down radios nationwide and is doing it.” (“Freedom of Expression threatened in Peru?” Sept. 2008). In 2004, a daughter of a news program director, Puicon, was kidnapped. During negotiations the kidnappers demanded Puicon to stop the criticism of the local government (“Freedom of Speech and Press” n.d.). Media outlets are constantly being scrutinized by what they say against the government over radio and television. There are many more cases like Rondine’s and Puicon’s; people being harassed for their expression of doubt against the ruling party in Peru. In April of 2012, a group of five journalists were beaten by the police for protesting in the northern region of Cajamarca against a purposed mine. In 2011, Sotomayor, who works for a television station was convicted for calling a congressman a “political defector”. There are numerous cases such as those that continue to go on, constricting the public’s knowledge of their own government. Historically, there had been no freedom of press until the late 20th century. The government controlled all media institutions, dictating what the newspapers and radio journalists would tell the public. It wasn’t until 1993 when freedom of press was guaranteed by their new constitution. Although it is unlawful to oppress one’s freedom of press, there continues to be issues of ongoing threats and harassment to reporters and journalists in the media world. “The National Association of Peruvian Journalists registered 132 press freedom violations in 2012, including physical and verbal attacks, threats and harassment, administrative and judicial pressure, and impediments to practicing journalism. Topics such as corruption and misuse of state resources, drug trafficking, and mining-related social conflict are considered particularly dangerous to cover”(Freedom House). Due to the media freedom organizations, Peru passed a bill in Congress in 2011 that eradicated jail time for defamation and replaced it with fines and community service (Freedom House). This was a major step forward in freedom, but only to be pushed two steps back a year later in 2012, when the government passed “a legislative decree denying the public access to any information related to national security and defense. Any person who reveals such information could be charged with a criminal offense and punished with up to 15 years in prison”(Freedom House). A prosecutor investigating the murder of journalist Pedro Silva in 2011 was found murdered in 2012. Journalist, Luis Montero, was jailed and fined $55,000 in 2010 for publishing an article in the newspaper, La Primera, for defaming a former defense minister (Reporters Without Borders). In a recent court case in 2012, defendant Teobaldo Meléndez, was charged with defamation of Mayor Alto Amazonas. The criminal high court overturned his conviction on the grounds they did not find any sufficient evidence of defamation against the mayor. This was a huge win for journalists in Peru and a step forward in progress to a freer press in Peru, but Melédez , and many other journalists, still write in constant fear of being wrongly convicted. In case after case, newspaper companies are being sued, shutdown, harassed, and journalists are even murdered for writing about the corruption within the government. Battling for freedom of press is essential for the future of journalism in Peru to strive. With every new political leader coming to rise throughout Peru’s history, the main objective was power, and how to stay in power, and nothing is more threatening to that power than a free press. Since 1992 to present time, eight journalists have been killed for expressing their disagreements about the Peruvian government. The most recent case of freedom of press, in August 2012, being oppressed was the seizing of Vórtice Magazines in a raid at Lima’s printing press for having ties to terrorist group “Shining Path”. With no warning, the police attempted to charge the magazine’s editor, Ronald Loayza, with defending terrorism. They seized 33 copies of the magazine trying to link it with the terrorist group. No further information has been updated about this case. Peru has made progress as of late, giving its people true democratic freedoms in its constitution, but it is not exercised freely when put into practice. On the surface the principles are laid out clearly in both constitutions, but Peru differs greatly from America in aspects of implementing those freedoms of speech and press. Nothing in Peru’s government holds the abuse of power over freedom of press and speech justifiable other than the grounds of a being coerced out of fear from the tyrannical political factions. The United States has three branches that check one another and accepts media as being the “fourth branch” or watchdog over the government. These checks and balances keep each branch in check from becoming too powerful, which allows for great freedom in speech and press. The U.S. Supreme Court effectively weighs governmental and personal freedoms and fights to keep a balance. In cases such as Snyder v. Phelps and Tinker v. Des Moines, the Supreme court protects their right to free speech, no matter how offensive or crude it was, it is crucial to permit “freedom for the thought that we hate the most”(Anthony Lewis). If these cases were decided in Peru, it is expected the outcome would be much different. In Peru, any callous comment made about a political member or entity is a threat to their power, consequently, protections for free speech are disregarded. Free press has an enormous importance in the U.S. government and Supreme Court as we see in New York Times v. Sullivan. It was a 9-0 vote in favor of the New York Times. The question at large was Alabama’s libel law, which did not require any proof of defamation when false statements are made, justifiable for arrest? The answer is no; it was unconstitutional to charge for libel when there is no proof even if the press states false facts. If this same case were decided in Peru, it would have likely gone the other way. These types of libel cases happen quite frequently in Peru, but almost never, do the media win against public and political officials. The United States values the media checking the government and if the U.S. government were to constrict the press of what they could and could not write about, that would undermine the ideals of a true democracy. Comparing the rights of free speech and press, America has the upper hand. There is more freedom to exercise each right in America than in Peru. Journalists in Peru have a constant fear of being punished by their government if they say or write anything of libel content about a political entity. People in America have the right to question their government without fearing for their lives, unlike people in Peru, where they cannot exercise those rights without harassment and police brutality awaiting for them. This post was last updated on April 30, 2014. CPJ. “Peru.” Attacks on the Press in 2013:. Committee to Protect Journalists, n.d. Web. 27 Mar. 2014. Crabtree, John. Fractured Politics: Peruvian Democracy past and Present. London: Institute for the Study of the Americas, University of London, 2011. Print. Freedom House. “Peru.” Freedom House. Freedom House, 2013. Web. 27 Mar. 2014. Graham, Carol. Peru’s APRA: Parties, Politics, and the Elusive Quest for Democracy. Boulder: L. Rienner, 1992. Print. Kantor, Harry. The Ideology and Program of the Peruvian Aprista Movement. New York: Octagon, 1966. Print. Krystek, Lee. “The UnMuseum – The Lines of Nazca.” The UnMuseum – The Lines of Nazca. The Unmuseum, n.d. Web. 26 Mar. 2014. Levitt, Barry Steven. Power in the Balance: Presidents, Parties, and Legislatures in Peru and beyond. Notre Dame, IN: University of Notre Dame, 2012. Print. NetCent Communications. “Peru Human Rights Report-Freedom of Speech and Press.” Peru Human Rights Report – Freedom of Speech and Press. NetCent Communications, 2004. Web. 27 Mar. 2014. Peruvian Times. “Freedom of Expression Threatened in Peru? Radio Uno Claims Government Has List of “bothersome” Stations It Plans to Shut down.” Peruvian Times News from Peru. Peruvian Times, 27 Mar. 2008. Web. 27 Mar. 2014. Reporters without Borders. “Peru – Reporters Without Borders.” Peru – Reporters Without Borders. Olivier Basille, 2012. Web. 27 Mar. 2014.